Getting more followers is the best way to get your customers to come back in more often (when they get notifications about new beers you get), and increase craft beer sales at your business. Stickers: place these in the front window, cooler doors, or by the register. 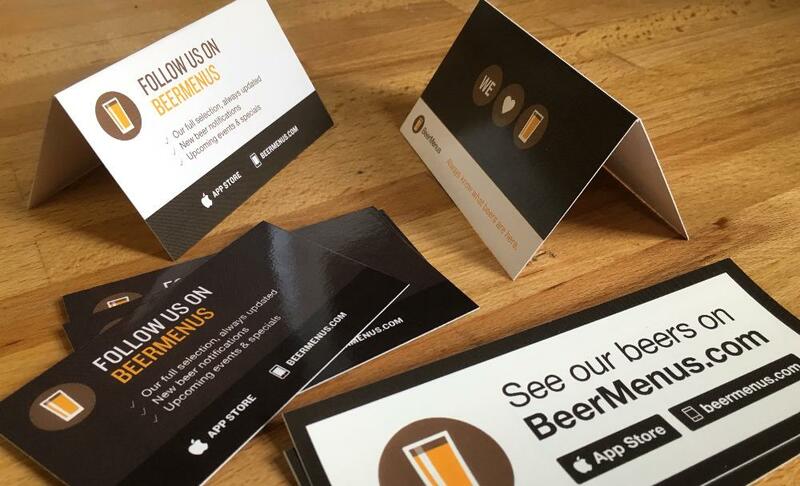 Cards: place these in check holders, or have your staff hand them to customers who are interested in your beer selection. Table tents: place these on tables, on the bar, or at the counter by the register.